My family and I returned a few weeks ago from an amazing 26-day road trip from Portland, OR to Chicago! We hit six different national parks along the way–Arches and Canyonlands National Parks in Moab, Utah; Wind Cave and Badlands National Parks in South Dakota; and portions of Yellowstone and Glacier National Parks, primarily in Montana. 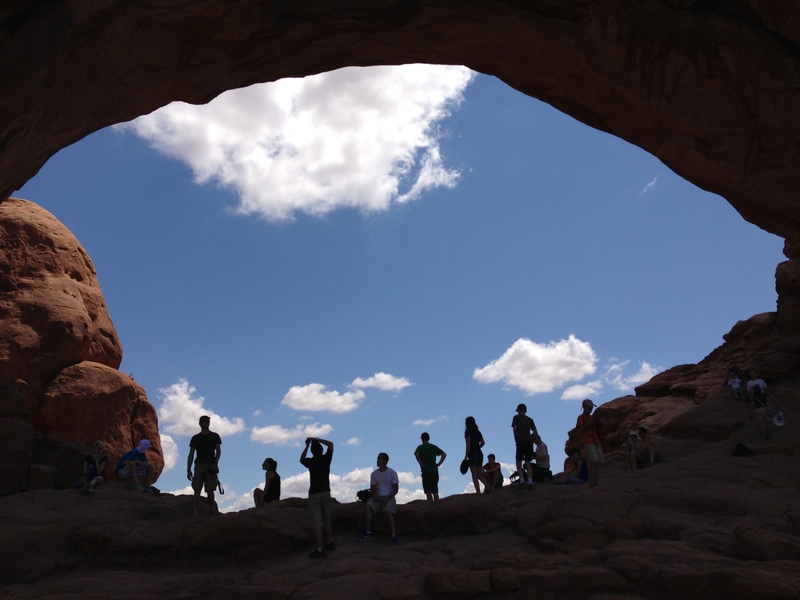 Silhouettes of my family and other tourists at Arches National Park. We also had the opportunity to see other inspiring sites along the way–Mt. Rushmore was definitely a highlight, and I personally found visits to the Bahá’í House of Worship in Wilmette, IL, the Nelson-Atkins Museum of Art in Kansas City, MO and the Art Institute of Chicago very meaningful. 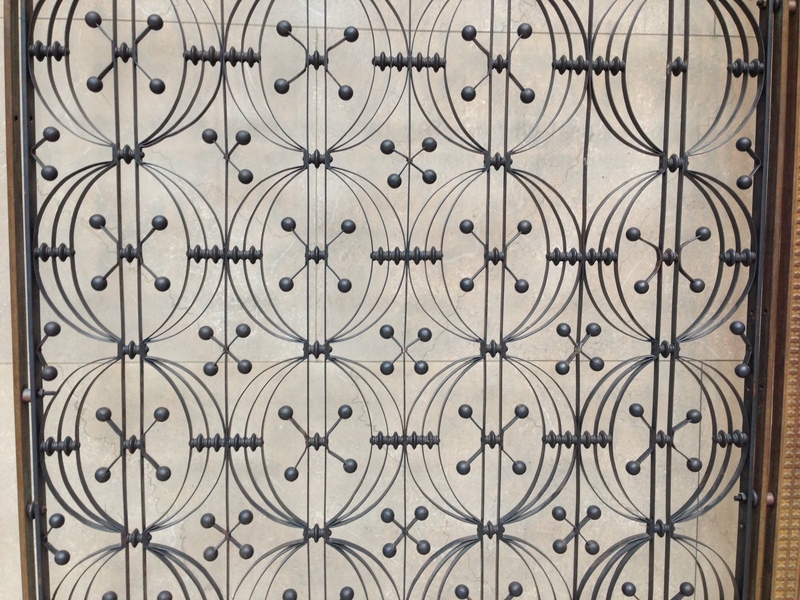 I took many hundreds of photographs of both the exquisite natural beauty in the parks and some of my favorite architectural details and paintings as I visited these historic places, and I thought I would share a few of my favorites here. 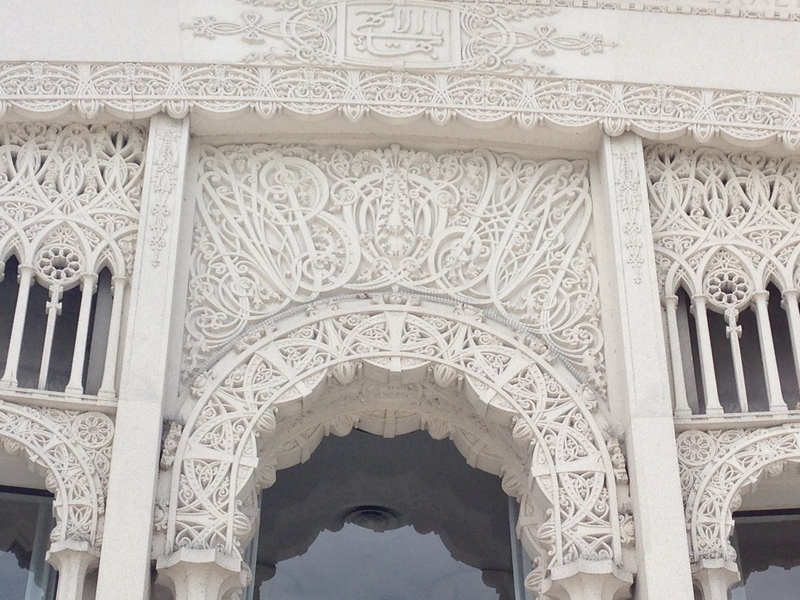 Detail of the exquisite, lacy architecture of the Bahá’í House of Worship in Wilmette, Illinois. The overall artistic theme I was struck by on this trip is the power of light, particularly in the case of extreme contrasts between light and dark. The most powerful example of this was in Wind Cave National Park, which is an amazing place that I had never heard of prior to this trip. American Indians of the area have known about the opening to Wind Cave and the winds that move in and out of it for centuries, and it is a sacred place for many tribes, as it seems to be breathing, like a Great Spirit. 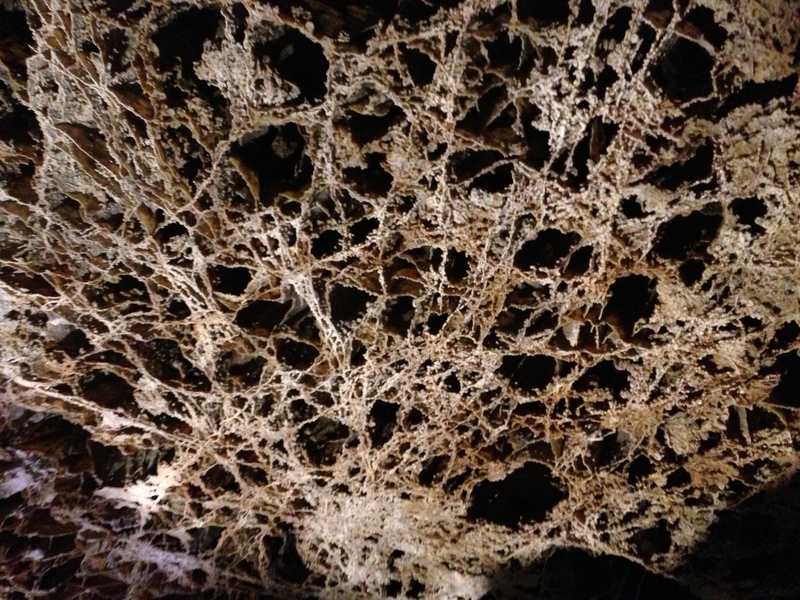 I was blown away by a rare cave formation called “boxwork”; the dry conditions in the cave allow this unusual, extremely complex and delicate formation to survive. 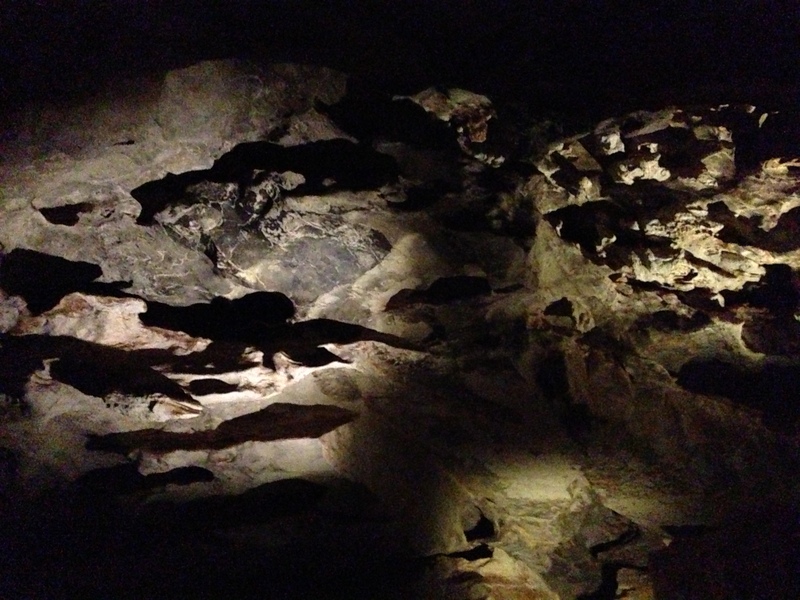 I was also thrilled by the eerie underground “landscapes” that were created by shadows thrown by the cave’s sophisticated lighting system, which was modernized a few years ago. I was not the only tourist compulsively snapping pictures, as every twist and turn brought an incredible new visual experience. I can only imagine navigating that cave aided only by a candle in a bucket, as the first explorers did; at one point, our guide turned off all the lights so that we could experience total darkness–a rare experience! 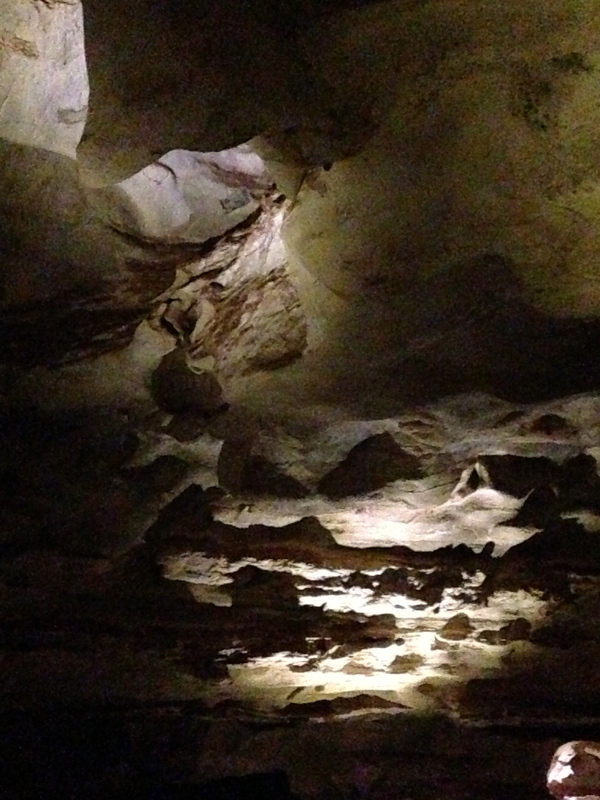 The many intrepid souls who created this national treasure–the Wind Cave area has been protected since 1903, when it became our eighth national park–left an exciting work of art to future generations. 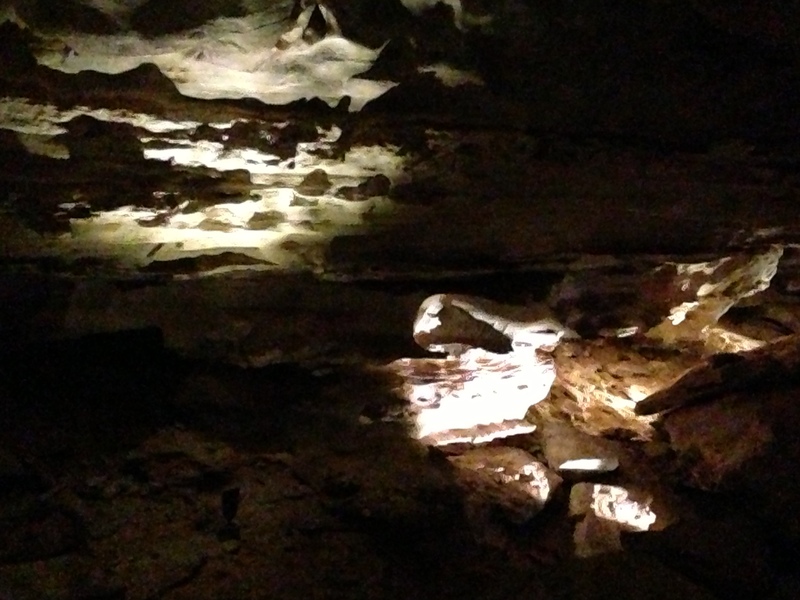 The art lesson I took from the caves was the incredible power of a light source to both reveal hidden treasures and to create drama. 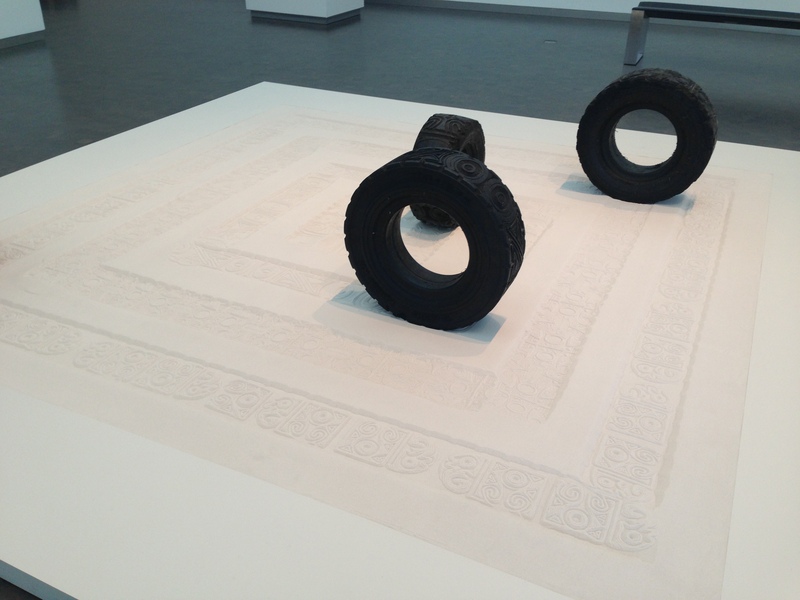 We spent a couple of nights in Kansas City along the way, and I enjoyed a wonderful afternoon at the Nelson-Atkins Museum of Art there. 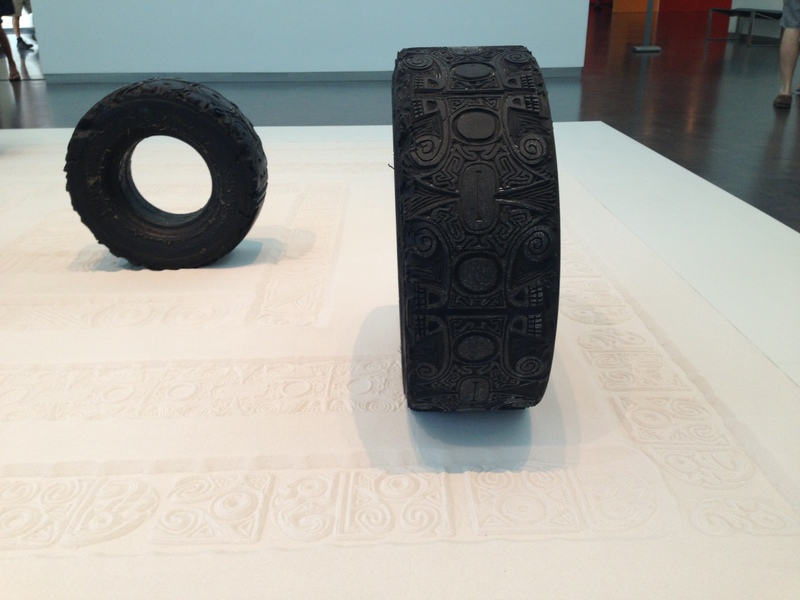 There was a great exhibit of contemporary Mexican Art that included several masterpieces by Frieda Kahlo and Diego Rivera, and there was also this interesting piece by contemporary Mexican artist Betsabeé Romero, who carves intricate designs in used tires and then rolls them in fine sand to create ephemeral works of art. She believes that “the car is, by far, the object that attracts the greatest aesthetic attention among people of all ages and social classes”–an interesting thought! 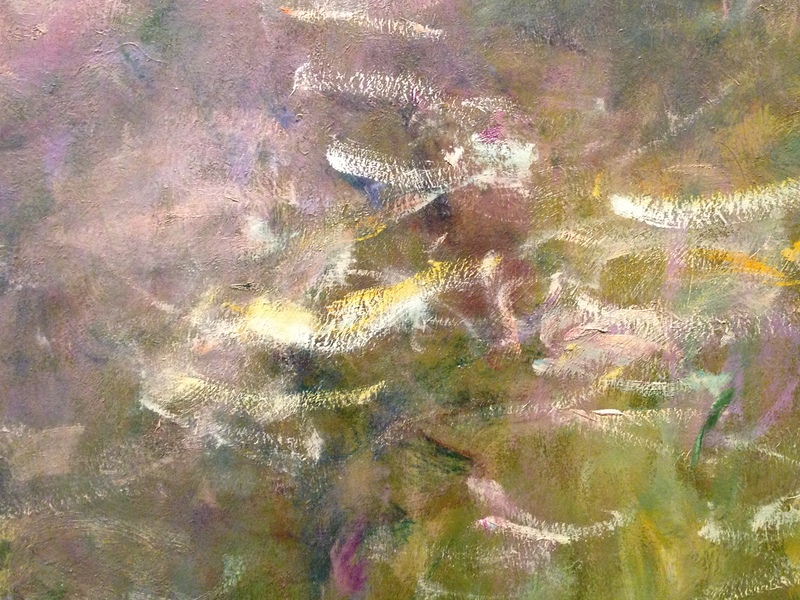 Here is a detail of a gorgeous, large painting at the same museum: it was intended to be the right-hand segment of a set of three in one of Monet’s “Water Lilies” tryptychs. I love the abstractness of these late pieces of his; because of their unusual scale, elimination of any spatial context and increasingly bold brushwork, they have sometimes been described as precursors of Abstract Expressionism. 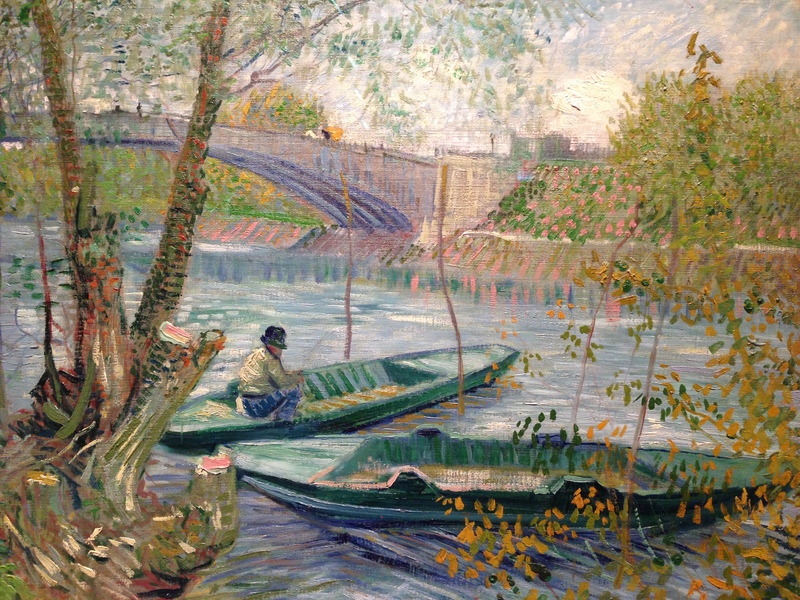 The use of color is absolutely masterful! 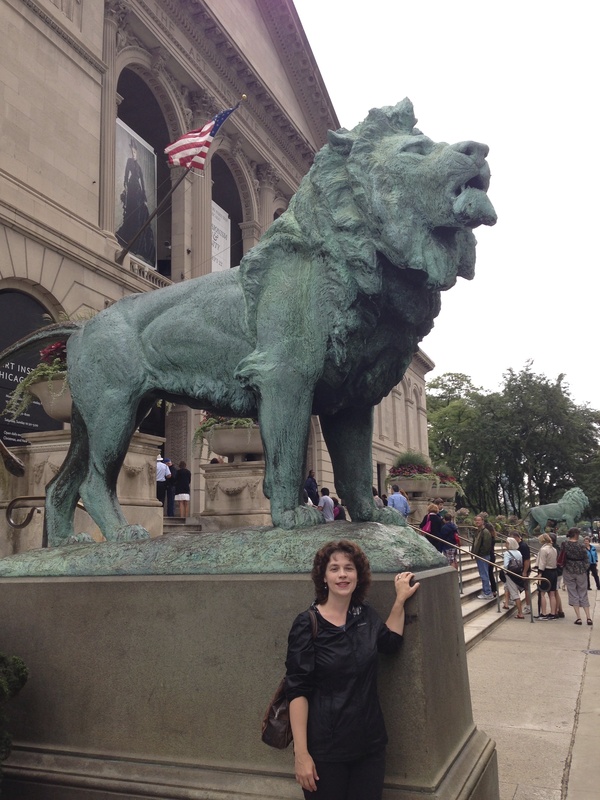 Another highlight of this summer’s trip was visiting the Art Institute of Chicago, where I had the pleasure of earning my BFA in 1998. I was reminded of a formative and hugely popular Monet Exhibit that I saw as a student there in 1995 when I was fortunate enough to stumble upon a special exhibit on Impressionism and Fashion. 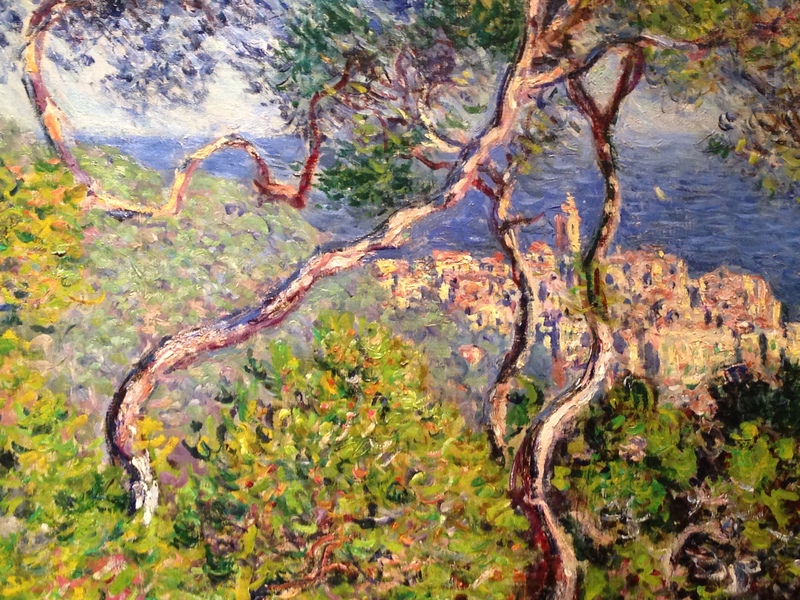 There were exquisite displays of Impressionist masterpieces from many different museums, juxtaposed with antique dresses and accessories identical to those worn by models in the paintings. I couldn’t take photos inside, unlike in the rest of the museum, but I did buy the marvelous exhibition catalogue, and I also took pictures of many pieces in the museum’s permanent collection. 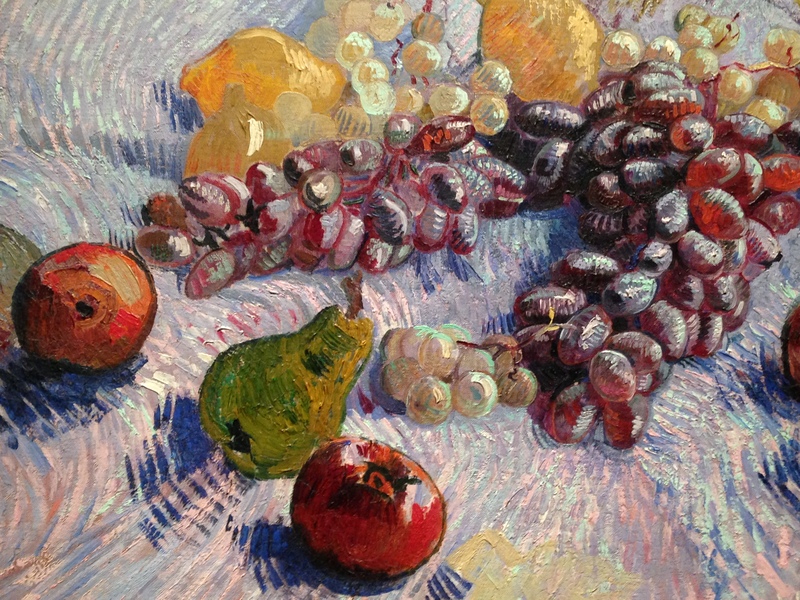 Here are a few of my favorites, which really highlight how the Impressionist movement was about a whole new way of seeing, of expressing solid objects as energy and light. 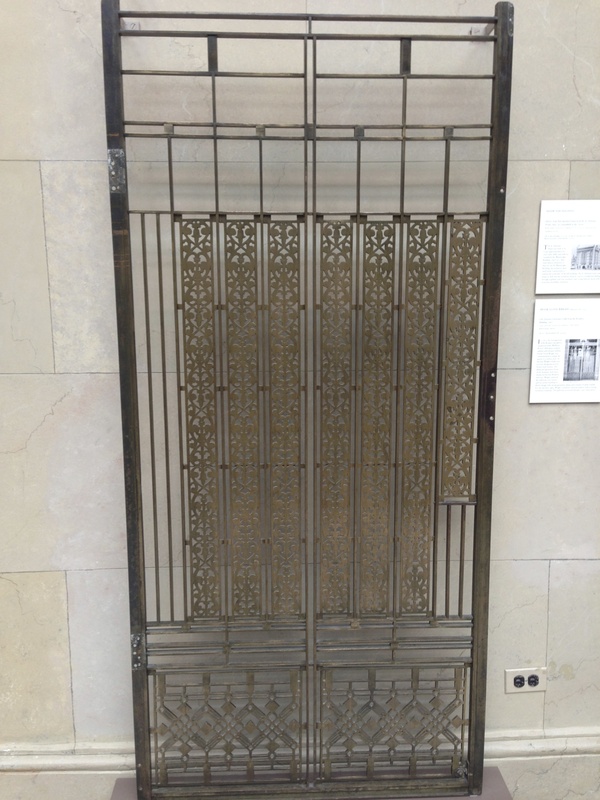 I’ll end this post with a few of my favorite architectural details from the Art Institute’s collection–I was always inspired by the wonderful ornamentation in the Chicago Stock Exchange room, and I remember sketching these elevator grilles as a student. 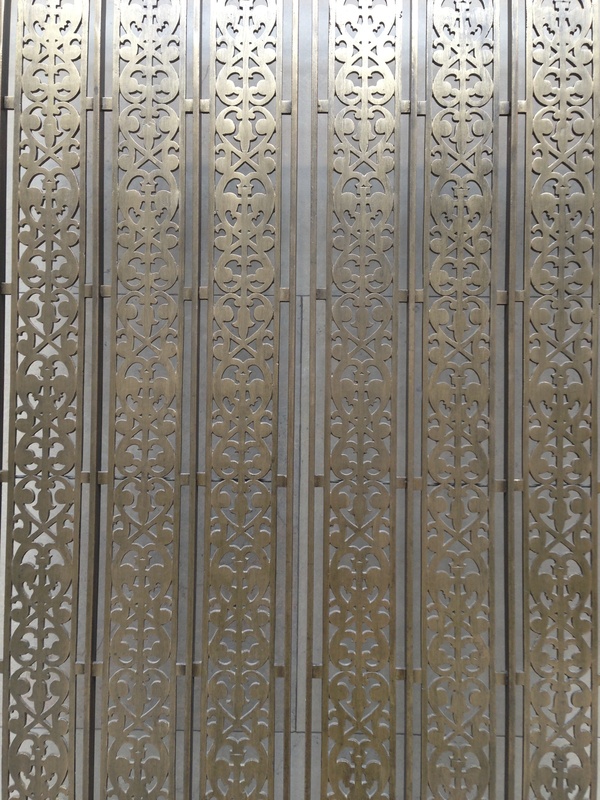 I love this “Elevator Enclosure Grille from the Rookery Building, 1907” by Frank Lloyd Wright. 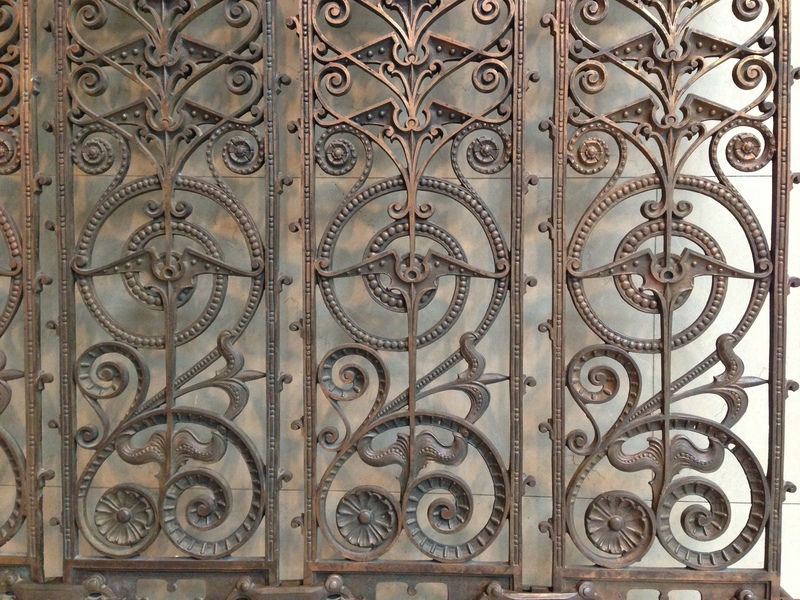 People rode in some fancy elevators back in the day!